1. Righthaven, LLC is a Las Vegas company established to sue bloggers who clip news content. Most newspapers firmly request bloggers or aggregators take down infringing content and link back to the paper. By comparison, Righthaven goes directly to suing, without any request to take down. 2. Righthaven has issued more than 100 lawsuits since its inception. See Righthaven Victims. See also Righthaven Lawsuits. 3. Righthaven's first client was Nevada-based Stephens Media. The Las Vegas Review Journal is Stephens’ flagship. 4. Righthaven has just struck a deal with Arkansas-based WEHCO Media to expand its copyright litigation campaign, in which bloggers and aggregators across the country are being sued on allegations of infringement. WEHCO controls 28 papers, including the Arkansas Democrat-Gazette in Little Rock, and 13 cable stations largely in the south. 5. Go here for a complete list of Righthaven-owned domains and newspapers. 6. Go here for a Firefox add-on that will prevent you from accessing Righthaven-owned content. "For those who think that this could be settled out of court cheaply: think again. Other defendants who have approached Righthaven without a lawyer to settle this matter have been told variously, "$7500" or "low five figures" for a single newspaper article infringement." A Georgia man was running and listening to his iPod on the beach on Hilton Head Island when he was killed by an airplane that made an emergency landing Monday near Palmetto Dunes, the Beaufort County Coroner's Office said today. Hat tip to Ryan Giles. 9. Police your site. Remove or update potentially infringing posts. Properly cite and link to news sources. 10. 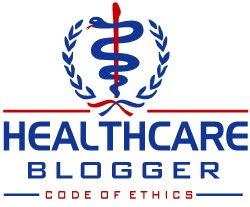 If you are a Fire/EMS blogger and get served with a Righthaven lawsuit, feel free to email me.